French Prime Minister Édouard Philippe has vowed to "restore national unity" after violence broke out during a fourth consecutive weekend of protests. 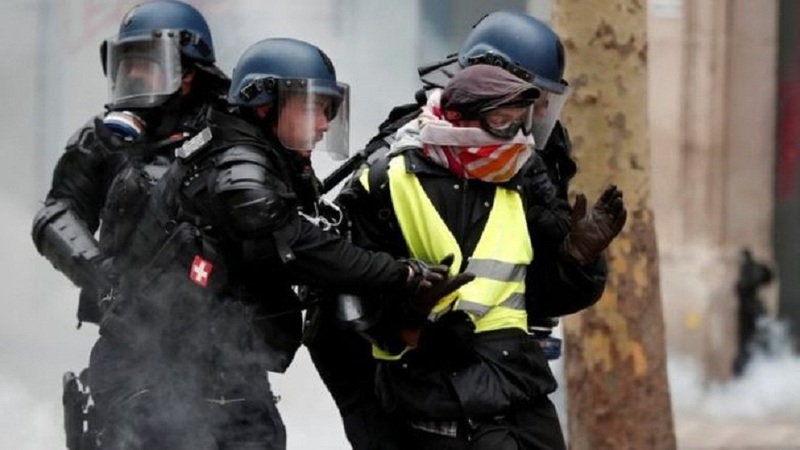 Police used tear gas and rubber bullets on Saturday - the latest day of "yellow vest" demonstrations against fuel tax rises and high living costs. Discussions with peaceful protesters "must continue", Mr Philippe said. He added: "No tax should jeopardise our national unity. We must now rebuild that national unity through dialogue, through work, and by coming together." He said President Emmanuel Macron - who many protesters want to stand down - would soon "put forward measures to foster this dialogue". Video footage showed protesters hit by rubber bullets - including in the face. At least three members of the press were among those hit. Seventeen police officers were also hurt, Mr Castaner said.